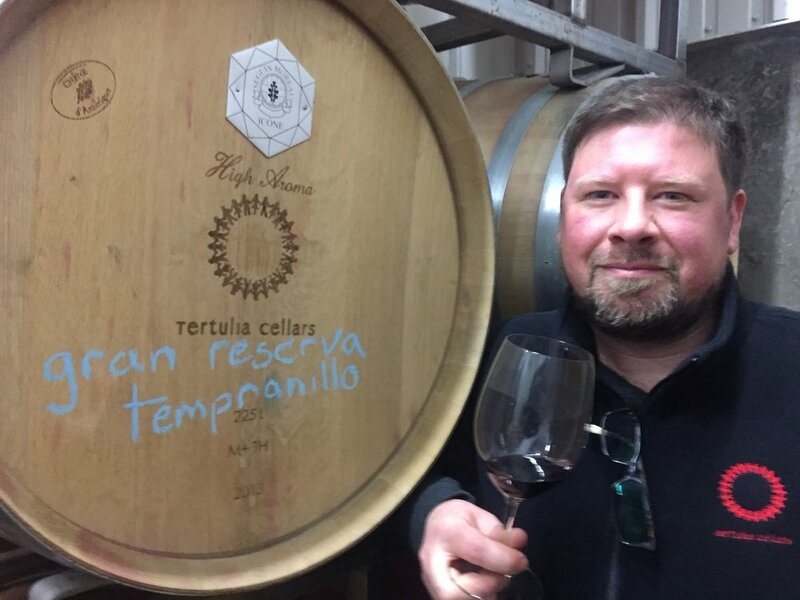 Ryan Raber serves as winemaker for Tertulia Cellars. Continuing on another great Washington Wine Month, we bring you another Walla Walla winery, Tertulia Cellars. Founded in 2005 Tertulia Cellars is surrounded by their estate Whistling Hills Vineyard, set in the foreground of the Blue Mountains. In 2008 Tertulia Cellars completed their winery. Tertulia makes some intriguing wines including a very good Carmenere. They have three tasting rooms located in Woodinville, the Willamette Valley, and at their Walla Walla winery. Head winemaker, Ryan Raber has crafted some good new releases. The 2014 Tertulia Cellars Syrah (WWB, 90) has a really good mouthfeel and rich flavors. This balanced effort is best enjoyed in the short-term. Even better was the 2013 Tertulia Cellars ‘The Great Schism Reserve’ Red Wine (WWB, 91) showing wonderful aromatic range at the moment. Learn more about this Walla Walla winery at http://www.tertuliacellars.com/ Here are the new wines by Tertulia Cellars.